Jehkay‘s space carrier is one beauty of a spacecraft. 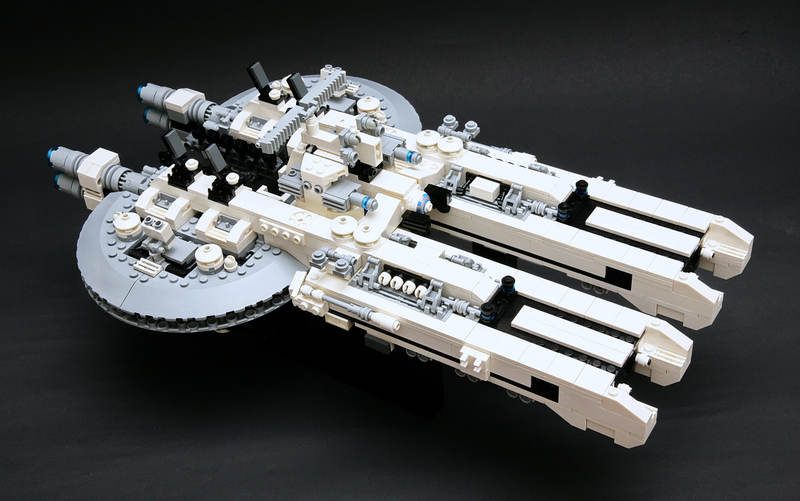 It stands apart from ordinary ships in its unique design featuring these large quarter circle bricks. The bottom of the creation is also equally well-crafted, holding a special place for a deadly railgun. Glad to see it here, she’s beautiful.